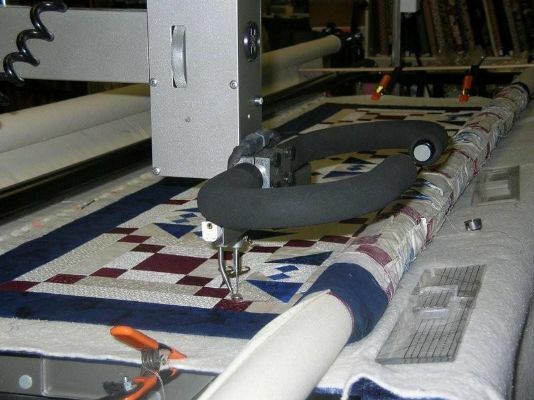 Quilt'n Kaboodle offers a long arm quilting service to customers near and far. Kim and Ginny have 7 years of long arm quilting experience and have taken several classes at APQS in Des Moines, IA. The shop has a steady line of customers and in general is back logged between 4 and 5 months. However, don't let that discourage you. If you are in a bind and need something quick, we can often be found after hours or on Sunday's trying to squeeze in a "must have quilt". Call ahead and have your name put on the waiting list. 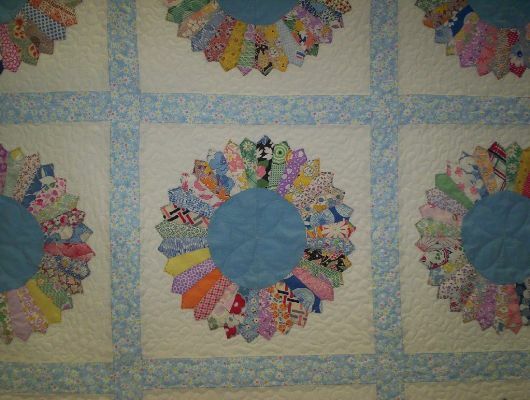 When your name is getting close we will call you in advance to let you know when to have your quilt brought in. Quilts are stored in plastic tubs with your name, number and date to keep them in order. When you bring your quilt in, a form will be filled out with instructions, thread choice and batting choice. Batting can be purchased at a discount off the roll. Quilting prices vary between .01 and .02 cents per square inch, depending on the design that you want, from simple meandering to ruler work and panagrams. There is a small fee for repairs and for the thread used. 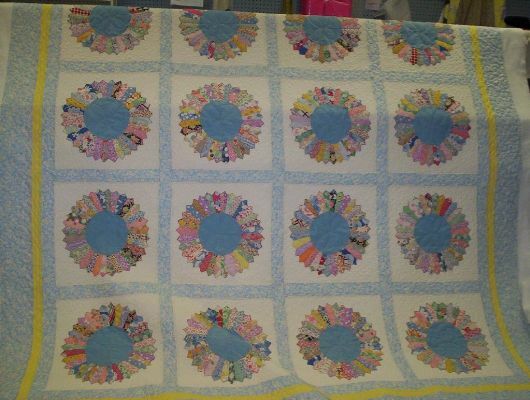 Also, with an additional fee, we can finish your quilt completely by binding it on the sewing machine. 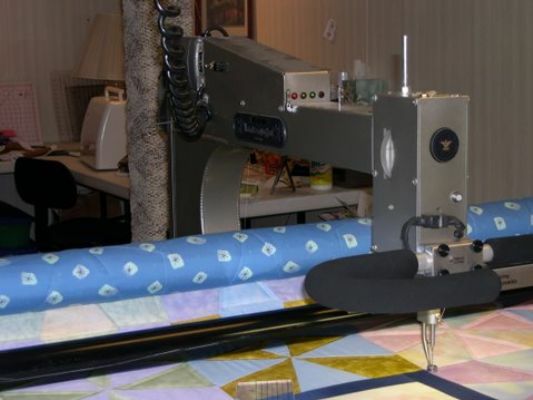 Quilt-n-Kaboodle is happy to announce the addition of precision computerized quilting to our long arm service. Stop in for a demonstration, and see what we can do.